Acupuncture – English word, in Latin ‘Acus’ means needle and ‘Punctura’ means pricking – both in together Acupuncture. In Chinese language it is called ‘Chen’, in Bengali ‘Suchiveda’ i.e. treatment with needle pricking. Moxibustion – It is a process of heat application to get relief from disease, Moxa roll is prepared from dried leaves of Artemiria Vulgaris plant and the ignited end of moxa roll is hold a little above the acupuncture point or on a particular area of body. As a result, the heat is felt over that part of body. Any other therapeutic methods may be integrated with acupuncture it is medicine less and has no side effects. Treatment may be done without needle if needed. This traditional pro-nature therapy is well known throughout India. It also got recognition from WB Govt. IRIIM got recognition from the ministry of Science & Technology, GoI for research work in integrated acupuncture which is first time in India. WHO also has approved this therapy. It is medicine less pro-nature therapy. In this method, therapy is given through Yogasana, Pranayama, Various natural ingredients like water, Mud etc. and change of dietary habits this therapy is recognized in India. To keep healthy by increasing resistance power, to keep free from disease the medicine less pro-nature therapies like Acupuncture-Yoga-Naturopathy and their integration is the prime thought of Ranjit Memorial Hospital organized by IRIIM. More and more importance are given on life style and change of dietary habits here. Allopathy, Homoeopathy, Ayurveda and Physiotherapy are allied if needed. The physicians of this institute are qualified with Allopathy and Homoeopathy and also have proper training and prolonged experience in Acupuncture-Yoga-Naturopathy. All the activities of IRIIM are conducted in non-profit way and in the basis of social responsibility. Q.1.What does it mean by Acupuncture Therapy? A.1. It is a treatment by puncturing very fine needle at various locations of human body. Q.2. Is it painful during puncturing? A.2. Not significant, better to say a feeling like mosquito or ant bite which is tolerable. Q.3. Does it cause pain during or after puncturing? A.3. Usually there is no pain, but if there is little pain, application of hot fomentation (dry) gives relief. Q.4. People usually think acupuncture can treat only arthritis, besides it, are other diseases are possible to be treated by acupuncture? A.4. This thinking is not at all true. It can treat various diseases apart from arthritis. Q.5. What types of diseases are treated here? A.5.Various type of arthritis, different type of injury, spondylosis, sciatica, cough & cold, asthma, various abdominal disorders along with acidity & dysentery, paralysis, female diseases, headache, psychiatric disorders, diabetes, hypertension, insomnia, sexual debility, addiction etc. are treated. Q.6. Is any medicine applied with the needle ? A.6. Not at all, because it is a medicine less pronature therapy. Q.7. How the needle acts inside the body? A.7. After puncturing in various points on the body, manipulation by hand creates some sensation. Such sensation acts like medicine, it relieves sufferings and recovers the patient. Q.8. Is treatment of all the diseases are done here only by needle ? A.8. Not at all. Other therapies without needle are also applied as per situation. Q.9. What are the other therapies ? A.9.Yoga-Naturopathy, Massage, Advice for Healthy Life Style & Food Habits, Physiotherapy and Homoeopathy & Allopathy if needed. Q.10.What does it mean by Yoga-Naturopathy ? A.10.It is a medicine less pronature therapy. Here treatment is done by yoga, pranayam and nature’s ingredients like water, mud, air etc. Q.11.How many days are required for acupuncture treatment ? A.11.It depends on disease and its condition. Usually 10 – 12 sittings are required initially, then after a gap of 5-7 days, therapy starts again. Generally 30 – 40 sittings are given. But in chronic case more sittings may be needed. Q.12.Is it needed to come here daily to take the treatment ? A.12. It depends on the nature of disease. At first stage frequently (daily/alternately), later on once or twice in a week or 1 or 2 times in a month are needed. Q.13.What is the treatment hours here ? A.13. OPD is open from 7.00 a.m. to 7.00 p.m. Only Wednesday is closed, 6 days in a week including Saturdays & Sundays. Time for registration of new patient is 8 a.m. – 10 a.m. and 4 p.m. – 6 p.m. New patient has to bring along with all old treatment papers and reports of previous treatment. Q.14.Is there any arrangement for distant and disabled patients ? A.14.Yes. For distant and disabled patients, there are arrangement for treatment in indoor-both general and special ward. Q.15.What are the terms & conditions for the first day treatment ? A.15. On first day ordinary registration is Rs. 90 /- and special is Rs. 300/-. Add one time instrument cost. Every time treatment is done with individual own set, purchased once, no need for daily purchase. It takes little more time on the first day than successive days, so one has to spare some more time on the first day. Q.16.How much the cost on the subsequent days? A.16.Rs. 50/- or Rs. 200/- daily. For every other therapy add as per list. Low cost package treatment for 10 sittings is also available at 20% discount, but full amount is to be paid in advance. Q.17.How much time is required for every sitting? A.17.About 30 minutes per treatment excepting waiting period. Q.18.How many needles are pricked for treatment? A.18.It depends on the condition of disease. More than one needle can be applied. Q.19.Is acupuncture treatment applied in empty stomach? A.19.No. Light breakfast should be taken before treatment. Q.20.Is there any scope of bleeding in puncturing? A.20.Usually not. But if bleeds, the area should be pressed with dry cotton to stop bleeding. No matter of fear. Q.21.Can the take bath, eat or perform any general work can be performed coming back at home after the treatment ? A.21.Yes. Everything can be done. Q.22.Can the medicine be continued along with this therapy ? A.22.Yes. Of course it can be done but as per physician’s advice, medicine can be minimized or stopped. Q.23.Can any other medicine be applied along with acupuncture? A.23.Firstly, there is no conflict between acupuncture and medicine, because it is medicine less therapy. Secondly, any medicine as per doctor’s advice may be taken along with acupuncture. Thirdly, it is noticed that need of medicine becomes lesser because resistance power increases through this treatment. Keep it in mind, we do not take medicine since birth or not living on medicine. We live on our own resistance power. Q.24.People say disease is cured by medicine also, so why to take needle treatment? A.24 Yes, medicine also can give relief or cure. But medicine has side-effects and costly also. Moreover in some diseases one can get better result with needle rather than medicine. Q.25. Has acupuncture therapy any side-effects? A.25. No, it has no side-effects. Q.26. Is the disease cured totally with this therapy ? A.26. It depends on the nature of disease.It should not be talked that “all the diseases is cured by acupuncture” We try our best for cure of disease. But we should have knowledge and the clear concept about ‘Rog’ (physicial & mental ) and ‘Rogmukti’. Q.27. Is it true that no other medicine can work if acupuncture is continued ? A.27. Acupuncture gradually enhances resistance power so medicine can work more effectively after this therapy. Gradually need of medicine becomes less. Q.28. Is it true that blood dries up in acupuncture ? A.28. It is totally a misguiding propaganda. A group of selfish people tell such for their own benefit. Q.29. Is Hepatitis, AIDS spread out through needle ? A.29. Every patient has to buy individual new needle set on the first day and after treatment is over he or she takes the set to their own home. 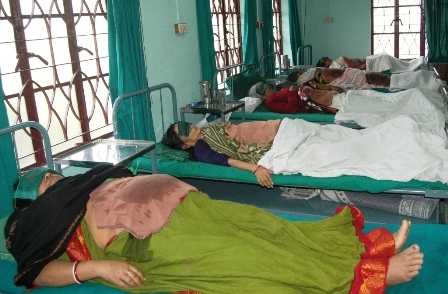 So there is no question of infection of such diseases through needle. Q.30. Is any emergency disease being treated here ? A.30. Usually not. But in such cases first aid and necessary advices are given. Q.31. Is there any treatment centre of IRIIM in Kolkata proper other than Mourigram, Howrah? A.31.Yes, At Central Kolkata near Sealdah : 50A Scott Lane, Kolkata –700 009. Mon, Wed & Fridays: 5-7 pm. (033-2350-4563). a) All types pulses with skin, chana, bean etc. 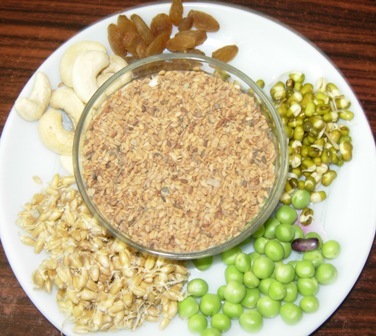 b) Cereals – Soya, Oat, Wheat, Rice (not refined), Maize, Bajra, Sprouted crop etc. c) Seasonal Fruits – Ripe papaya, Chestnut, Water chestnut, Date, Lichi, Star-apple, Sugar cane, Shaddock,Custard-apple, Jackfruit, Banana, Dalim or Pomegranate, Water melon, Grapes, Mango, Guava, Black Berry, Orange, Mosambi etc. 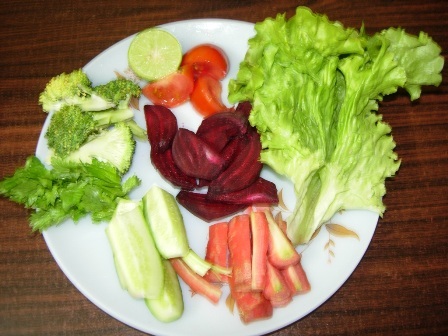 e) Green leafy vegetables & fruits - at least 2/3 hours soaked with water and cleaned prior to eat. f) Fresh and freshly cooked food better for healthy life. g) Use pressure cooker or cook with cover for better cooking quality. h) Better to use organic molasses and rock salt instead of white sugar and salt. i) Take organic food items and cultivate with organic fertilizers. Ø Salt, Sugar (even if not diabetes), Refined products, Sour and various spices. Ø Toned milk & milk product (cheese or paneer, curd, whey). Ø All types fish & meat, egg, ghee, butter, dalda, refrigerated items etc. Highly spicy, oily, pungent or astringent food, fast food, cold drinks, tobacco or other addictive products. a) Take food with full attention and no talking, no TV watching, no reading. c) Sit on Bajrasana (5min.) after meal and take rest. Sleep after 1 hour. d) Take always fresh Organic Natural food. Vegetables and fruits should be washed properly. e) Fruit or salad should not be taken with meals. Better to take atleast 30 mins. before or after 2-3 hours of meal. f) Fasting 3 – 4 times in a month. Absolute rest should be taken during fasting.